I had surgery on both ankles on 12th October for chronic achilles tendinopathy - after years of physio and recently shock wave therapy. Unfortunately hours after surgery my right achilles ruptured. After an ultrasound confirmed a full tear, I was put in a Vacoped boot and 3 days later sent home with instructions to keep leg elevated and not walk on it. After 3 weeks boot was adjusted. Plan to adjust again in 3 weeks. Beginning to hobble around on crutches - but difficult as left ankle is still weak from surgery. Hoping to get advice from others and share experiences. Hi again, so will you be getting out of the boot between Christmas and new-year? I can’t tell you how amazing it is to sleep without the boot! Another huge milestone this week - I had a bath!! Yay! (rather than sitting on stool in shower) - so nice to have a long soak in hot bath. Funny the things we’ll never take for granted again. That’s good if you can manage to get about without crutches - keeps your hands free to carry things. Physio is quite light at the moment - stretches with the rubber bands, pointing and pulling back ankle. Needing massage on calf muscles too as seem to have pulled something. Very little strength in right ankle but getting better. I can put more weight on right foot even since last week, but then it becomes tempting to do more than I should. So it’s been a week of walking around the house, doing chores and then resting with swollen and achey ankles! I have to see Occupational Health on Thursday to discuss my return to work (I am lucky that my surgeon signed me off for the 9 weeks). Not sure when I will be able to drive. Keep up the good work, what kind of physio are you doing? I’m ok - walking without cructhes in the boot, but with a HUGE limp, I kind of walk forward with my good left leg and then haul my dodgy right leg behind me. I look a bit funky but I’m moving better and can carry stuff now so I’m happy. Really looking forward to being out of the boot, only another 2 weeks, so I cannot wait. Treated myself to some new trainers in anticipation! Thank you for asking. Well yesterday was a big day for me actually! I saw surgeon and was able to remove the Vacoped boot!! The tear has healed and I am ready to start physio! The physio got me to stand up and walk on 2 feet with crutches (in trainers with a heel lift). Was very nervous, but went really well. Can’t put all weight on it but can walk quite steadily with crutches taking some weight. Physio keeps telling me to stand up straight though or I’ll damage my shoulder! And walk ‘normally’ as possible so I don’t develop a poor gait. Really pleased with progress. Unfortunately other ankle really swollen and I’m having problems with the scar tissue there. But sleeping without boot last night was amazing!! Hey - tabithaguernsey how are you getting on?? Great job! This is an amazing article. Thank you for sharing such a brilliant idea with us. I highly recommend other people to follow your tips. You can find all kinds of medicineand medical products at NHS Heroes. You can buy medicine very cheaply from here. yeah the hospital took my key too! Given that you’re still recovering with your other leg, trying to go to full weight bearing AND straight to neutral at the same time seems aggressive. I’d advocate for a staged approach: get to FWB first; and then gradually reduce the angle to neutral (once you get to FWB, life gets MUCH easier). But that’s only my non-medical opinion. 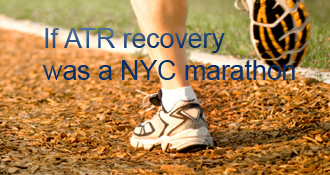 At the end of the day, it’s your own recovery and you know best how your leg feels. The doctor is just following one protocol among many. So, if things aren’t working for you, get informed and then discuss options with your doctor. Lots of instructions online for changing boot angle. And apparently the ‘key’ should come with the boot (unless they took it). Thanks for comments Heidi and Simon. I was NWB as much as possible for the first 6 weeks and using crutches. Difficult to walk at all even with crutches as my ‘good’ leg still recovering from surgery for Tendinopathy. I have the flat sole for another three weeks, WB as tolerated and using crutches. Still painful today. As you say Heidi the body is saying “no”! Doctor said little at a time and build up. I start physio next week on my good leg, and will have physio on other leg when out of boot. Simon I don’t have the ‘key’ to adjust the boot and I’m reluctant to mess with it without knowing what I am doing. The more I read on this website, the more I am shocked by how many different protocols there are. And the only people who have any understanding about the nature of this injury and recovery are those who have been through it. I don’t think the process should be extremely painful. It’ll feel like you’re pulling/stretching the achilles, but I would be concerned about any serious tearing sensations. Since you have an adjustable boot, maybe doing gradually changes in the angle would be better (e.g., 5 degrees at a time). Compared to my own experience, your doctor has your foot in neutral position (flat) quite a bit earlier. My foot was at 30 degrees until week 7, and then gradually transitioned to neutral over about 3 weeks. I was FWB at the time. My doctor only ever checked my achilles by feel. Hi there, ohhhh that sounds hard. I haven’t got anything with any insight to say I’m afraid as I’m behind you in terms of treatment. Week 4 for me and boot adjustment date today, its at 20 degrees and I’m finding it very hard to put any weight on it, bodys just screams no! I totally understand where you are coming from. Are you using crutches? How long will they keep you in a boot with a flat foot? Hi there, that sounds rough. How you doing now? tabithaguernsey’s AchillesBlog is proudly powered by WordPress and WPDesigner..